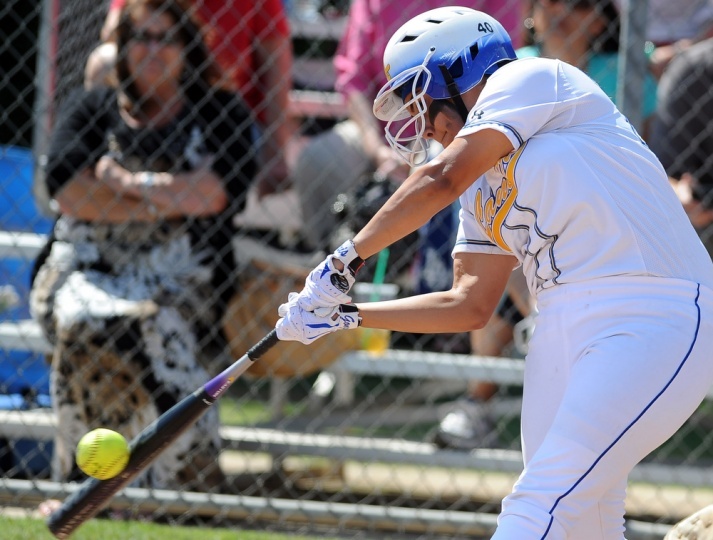 HAMMERING THE COMPETITION: Bishop Amat, helped by Alexis Gonzalez (above), has felt very little resistance while racing to the top of the area rankings. 1. Bishop Amat (9-2) — The Lancers are showing they have no peer in the Valley and beyond, outscoring rivals St. Paul and La Salle, 22-0 last week. 2. Chino Hills (10-4) — The Huskies were idle last week, but should be refreshed for their Sierra League title run. 3. Ayala (8-2) — The Bulldogs also took a respite. They resume with tournament play before opening up the Sierra League in two weeks. 4. South Hills (11-3) — The Huskies showed their prowess with an impressive sweep over Bonita. Next up: The Sierra League. 5. Bonita (8-5) — Another hit and miss week for the Bearcats, who dominated Rowland before losing two to South Hills. 6. Charter Oak (10-2) — The Chargers are having a solid season, and continued it with a sweep of Fullerton and beating Schurr on Monday. 7. San Dimas (7-5) — The Saints are the favorite in the Valle Vista and showed it with an easy win at Wilson. 8. Northview (5-4) — The Vikings won another slugfest, beating rival Covina. Eventually, they’ll have to pitch. 9. Duarte (7-2) — The Falcons are the team to beat in the Montview and showed it against Azusa. 10. St. Lucy’s (3-6) — The Regents are a lot better than their record, which includes an impressive schedule. Chino Hills went 1-1 against Yucaipa this past week. They are 11-5. St. Lucy coach is a joke!!!! She proved it at the JV level! When is the AD going to get a quality travel coach to take over.